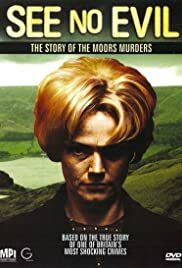 A vivid drama that documents the notorious "Moors murderers", Ian Brady and Myra Hindley. Based on the personal testimonies of many of those most closely involved, Five Daughters recounts the final weeks in the lives of the five young women murdered in Ipswich in 2006. Fred and Rose West were Britain's most prolific serial killers. This series reveals their dark childhoods and how their terrible crimes went unnoticed for decades. A powerful and thought provoking drama based on one of the most shocking crimes of the 20th century, the chilling story of child killers Ian Brady and Myra Hindley. Maureen Smith: I have to believe what my heart tells me, Dave. And my heart tells me whatever Myra did in the past, she's a different person now. This show was recently shown as a two part mini-series . Some fine performances here from Maxine Peake as Myra Hindley and Mike McNulty as David Smith . Though the truly horrible events of the Moors Murders are dealt with in a manner sympathetic to the victims and victims' families ( no blood gore and detail here ) . You do discover a side to Hindley and Brady that has rarely been shown - both may have been monsters and inherently evil but also both were highly manipulative and believable . Some very daring performances , particularly by Peake as Myra Hindley and Sean Harris as Brady , this together with a haunting soundtrack , rare levels of authenticity and the bleak but beautiful Moors setting make this a reasonable thing to watch .